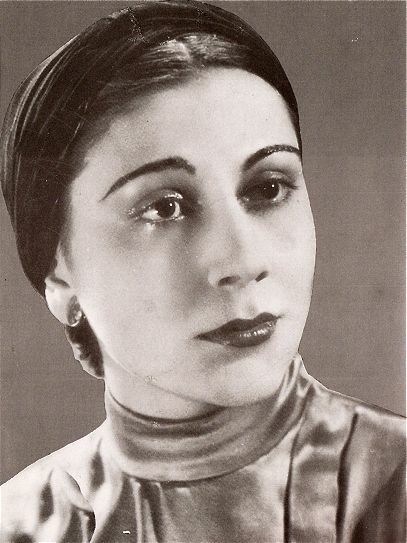 Alice Sapritch (her name was originally spelled Sapric, the Turkish spelling of the Armenian word saprich/սափրիչ “barber”), was a French actress of Armenian origin with a forty-year career in cinema, theater, and television. She was born in the Istanbul district of Ortaköy on July 29, 1916, and had a childhood that she qualified as unhappy. Her family had serious financial problems due to the gambling debts of her father. She abandoned Turkey at the age of thirteen with her family and continued her studies in Brussels before moving alone to Paris. She entered the Cours Simon, one of the oldest courses of theatrical formation for professional comedians, and then the Conservatoire d’Art Dramatique. Her theatrical career, mostly in dramatic and tragic roles, would span over thirty-five years (1949-1984). At the end of the German occupation, she met writer and actor Guillaume Hanoteau, whom she married in 1950. The same year marked her debut in the movies with Le tampon du capiston (The Captain’s Buffer), on a script written by her husband. For the next thirty-five years she would appear in some 40 movies, including François Truffaut’s Tirez sur le pianist (Shoot the Pianist, 1960), where she played along Charles Aznavour. In the 1960s she had remarkable roles in several TV adaptations of novels by French authors like Jules Barbey d’Aurevilly, Honoré de Balzac, and François Mauriac. She divorced in 1970, and her great breakout came a year later, at the age of 55, when she made a lasting impression with two roles, one comic and the other tragic, in the feature movie La folie des grandeurs (Delusions of Grandeur), along with two great actors, Yves Montand and Louis de Funès, and the TV movie Vipère au poing. However, throughout the 1970s, she took roles in a series of French-style comedies qualified with the colloquial word nanar (movies that were so bad that they were good). She mostly abandoned this genre in the last years of her career and returned to dramatic roles in André Téchiné’s Les Soeurs Brontë (The Bronte Sisters, 1979), as well as in a TV film, L’affaire Marie Besnard (The Affair Marie Besnard, 1986), which earned her the prize “7 d’or” for best fiction comedian. Her last role in cinema was in an American film, Amy Heckerling’s National Lampoon’s European Vacation (1985). She played her first and last role in TV films as Catherine de Médicis (queen of France in the sixteenth century), both in 1961 and in 1989. She wrote many autobiographical works (Alice, My Dinners in the City, Public Woman: My truth, and Unfinished Memoirs) and a novel (An Endangered Love, 1973), all in French. She remained quite close to the French Armenian community, and participated in many of their gatherings. A year before her death, her life was the subject of a documentary, Le passé retrouvé: Alice Sapritch (The Past Retrieved: Alice Sapritch), by Mireille Dumas (1989). She passed away in Paris on March 24, 1990, and was cremated in the cemetery of Père-Lachaise, in Paris, with her ashes being spread over the Seine River.